Bike Experience is a group of sensible and fitted structures, a number of trendy and reliable bicycles (but you may use yours! 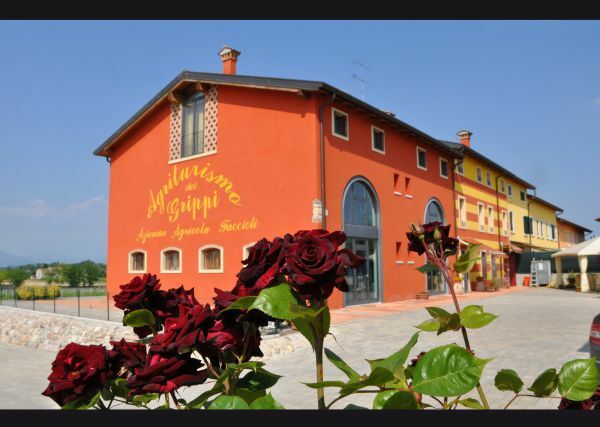 ), serious and passionate companions who know really well the ambient where you i twill be possible for you to see with new eyes Verona, Custoza’s lands and the fantastic panoramas on Garda Lake and Mincio river. 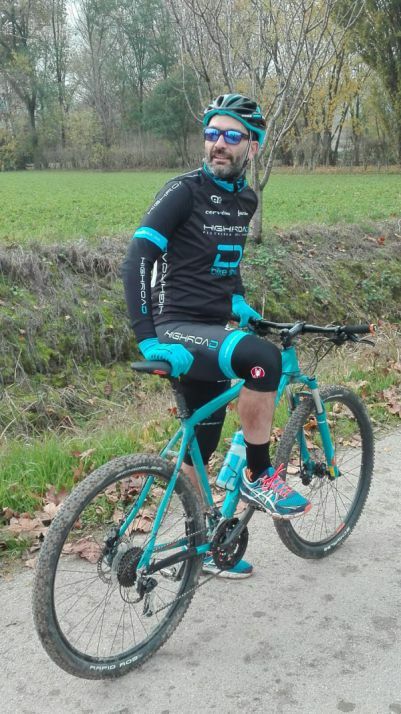 Scrolling down the page you can find the accommodation that already offer the Bike Experience services with seriousness and dedication, they will satisfy all your desire to bike but also to relax, sleep and good food and wine authenticity. Farmhouse situated in the picturesque moraine hills of Custoza’s Lands between the city of Verona and Lake Garda in a privileged position. 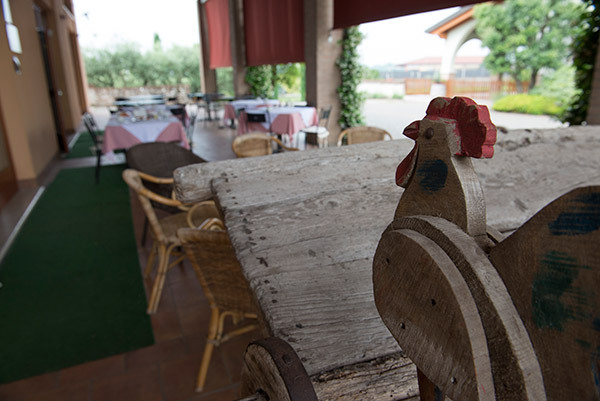 Farm as the most classic tradition, you will be greeted in a friendly atmosphere and home environment created by the owner Liliana Cordioli. It is offering charming rooms and a mini apartment, spacious and bright, with satellite TV, air conditioning, and private bathroom. While the studio is also a kitchenette with a fridge. It is offering many services including the possibility to enjoy its Bike Experience, to visit the area by bicycle around you thanks to its proposal for a Bike Tour. Prices from € 80 for room for night. 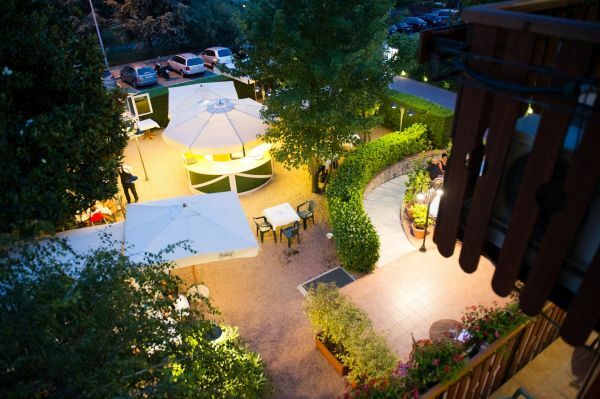 Located at the entrance of Verona, this 4-star superior hotel offers the opportunity to combine relaxation, wellness and discover the area around you. 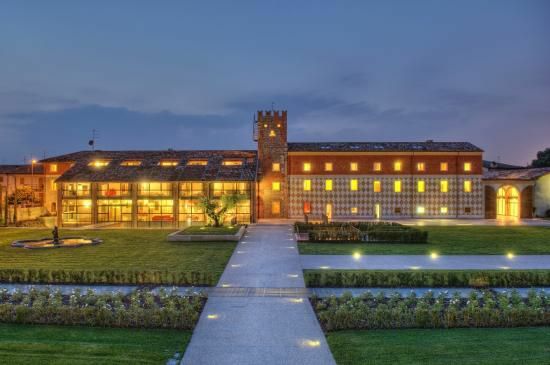 Built inside a renovated monastery, Veronesi La Torre is a hotel that perfectly combines a mix of elegance and modernity, with its 88 rooms and the beautiful Sweet Tower Suite that combines the flavor of the Old Contemporary charm. 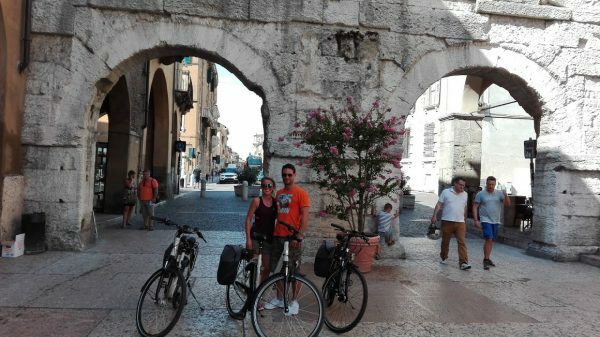 Ideal base to visit the area of the hills of Custoza in cycling thanks to a package holiday made for an active holiday. 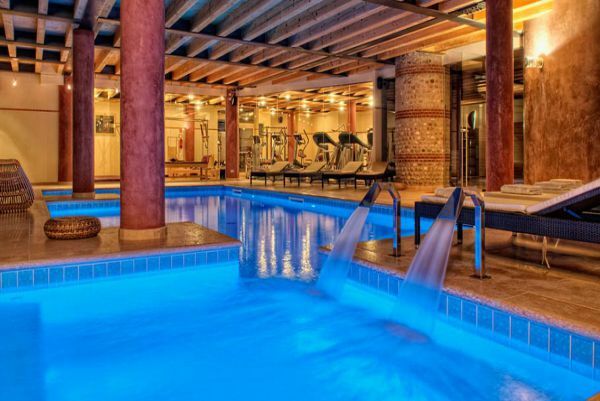 Also equipped with a “Wellness Center”: indoor pool, spa, fitness and massage 4 stars, this hotel can be the ideal destination for a leisure holiday. 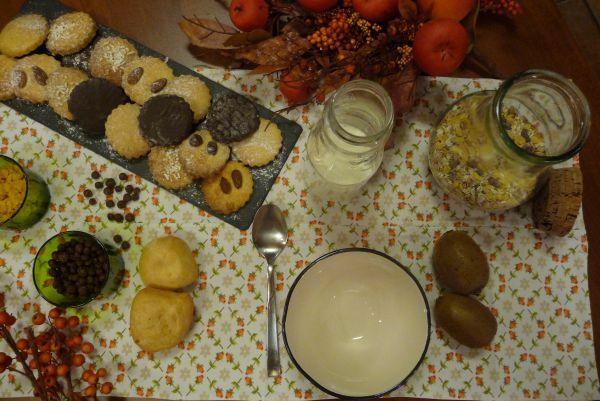 While The Torre22 is the popular restaurant inspired by the traditional cuisine and the Verona area products, unique experience among hotels in Verona. 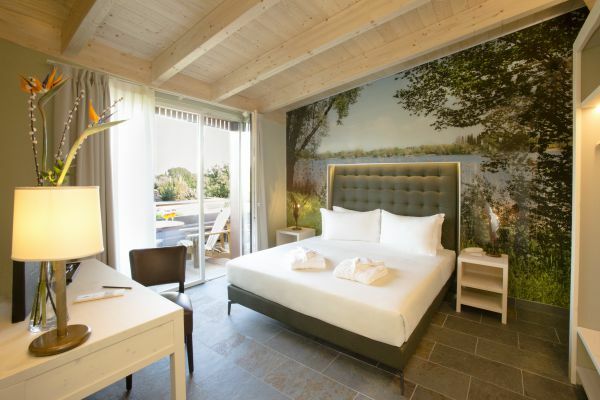 You’ll really know this smart and stylish accommodation with artistic touches that make this location a real charming hotel, from the rooms to wellness, from meeting rooms to the restaurant. 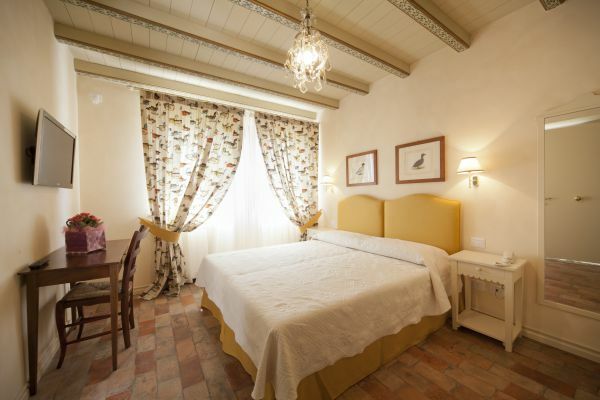 Prices from € 80 per person per night. 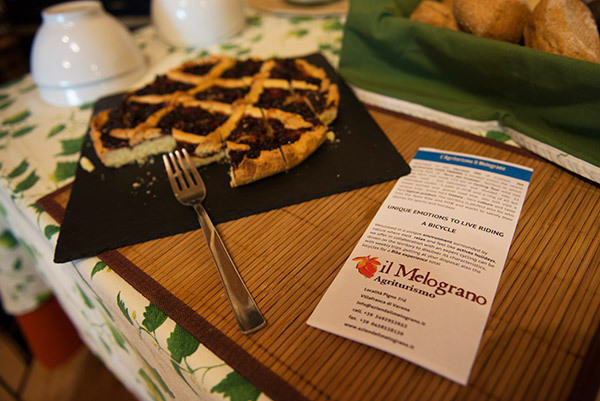 Located in Villafranca di Verona, a step away from the artistic surprises of Verona and Lake Garda, Il Melograno blends with the heart of Verona plain. In the Lands of Custoza, the holiday will have the taste of tradition and relaxation: the Lonardi family, represented by the dedication and vitality of Eleanor, makes this farmhouse in an enchanting place to spend moments of absolute carelessness, thanks the strategic position that allows you to connect with major art sites and culture but also to enjoy beautiful and charming bike Tour to visit the area by bicycle. 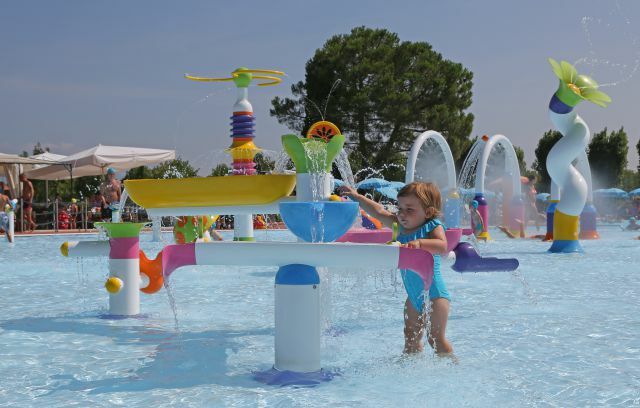 The farm Il Melograno, Verona, will welcome you in their park with play area for toddlers and a large swimming pool in perfectly with the surrounding environment and that becomes an exclusive corner dedicated to everyone. 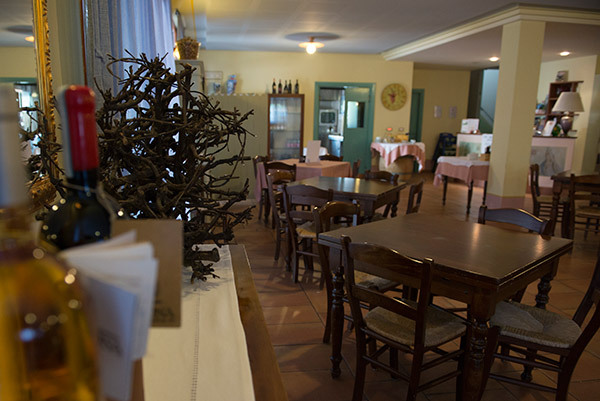 External architecture simple and elegant is the prelude to the rooms, studios and apartments harmonious and cozy with every comfort, to make your holiday at Agriturismo Il Melograno accompany you in the memory even when it’s over. Prices from € 75.00 for room for night. 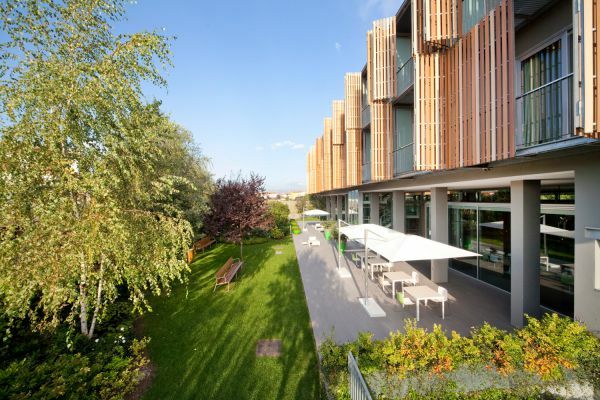 Bike & Family Hotel in Peschiera del Garda for a holiday of sport, relaxation and entertainment. 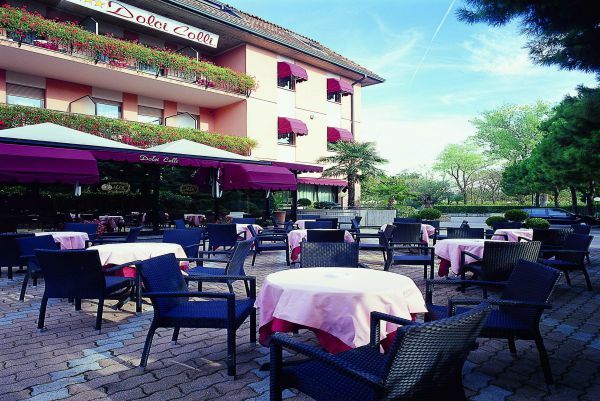 Dolci Colli Bike & Family Hotel located 1 km from Lake Garda and the beautiful historical center of Peschiera is the ideal reference point for cycling holidays. 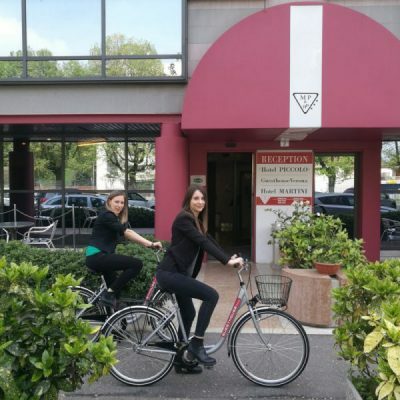 Thanks to the nearby bike paths such as the Peschiera – Mantua and cycleways between the Lake and the moraine hills of the Garda hinterland make the hotel the ideal starting point for bicycle tours to suit every type of cyclist. 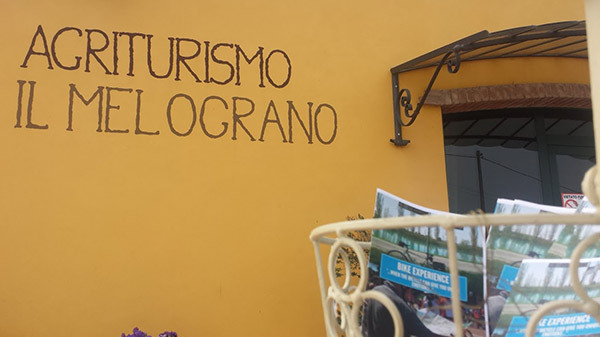 With the organization of Garda Bike Tour staff will accompany you to the discovery of ancient villages and the culinary excellence that characterize the territory. 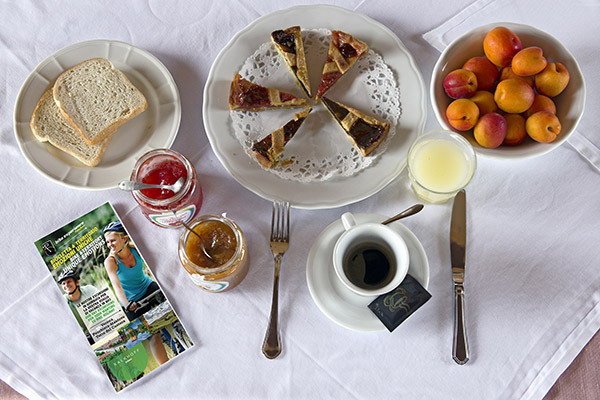 Together with its services, the hotel is suitable for all types of cycling, lovers of the road bike, MTB or pleasant Slow Tour. 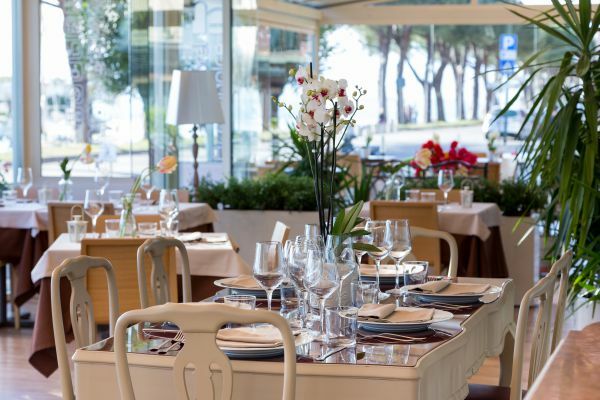 Run by the Carletti family, you will find attention to detail, courtesy and a cuisine rich in extraordinary specialties territory. 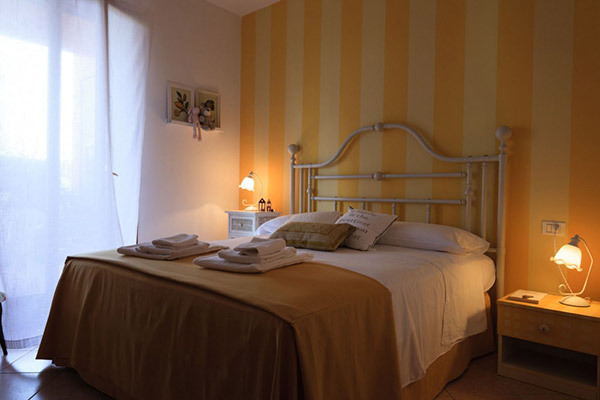 Prices from € 75 for room for night with breakfast. 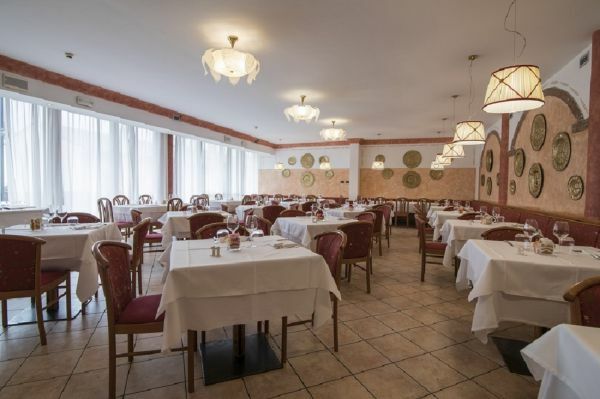 Prices from € 105 for room for night with half board. 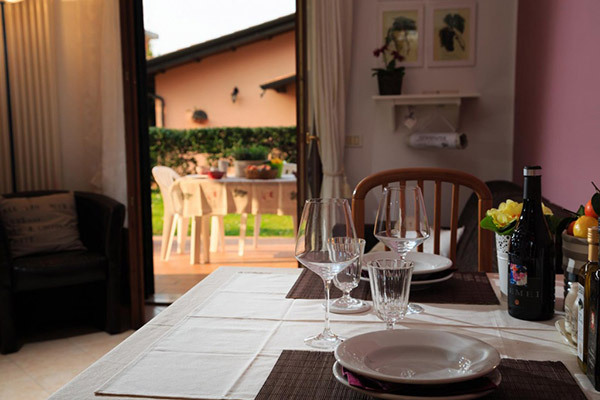 At Gargagnago, in the heart of the classic Valpolicella winegrowing district, the country guest house Antico Casale Bergamini offers you warm and attentive hospitality. Ideal for those who love the peace and tranquillity of a small village. 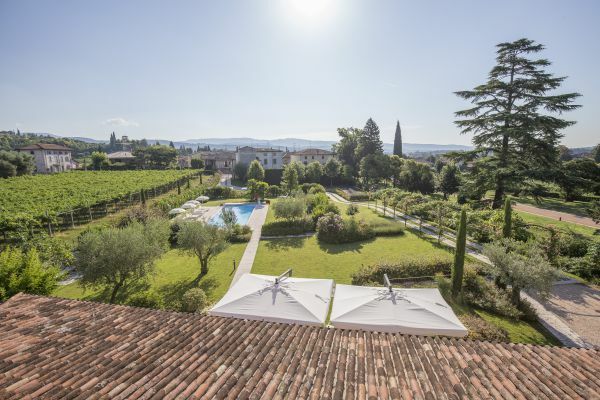 A country house dating from the mid 17th century has been restored in such a way as to maintain the stone architecture typical of the Valpolicella, combining tradition with modern comforts to ensure a perfectly relaxing holiday in a rural retreat. 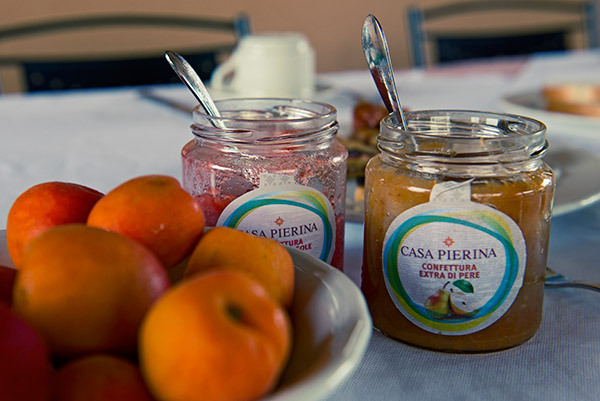 The Antico Casale Bergamini opens on to a large garden where guests can spend their time in complete tranquillity. In summer they can use the swimming pool or relax in the poolside area with its deckchairs and sun umbrellas. 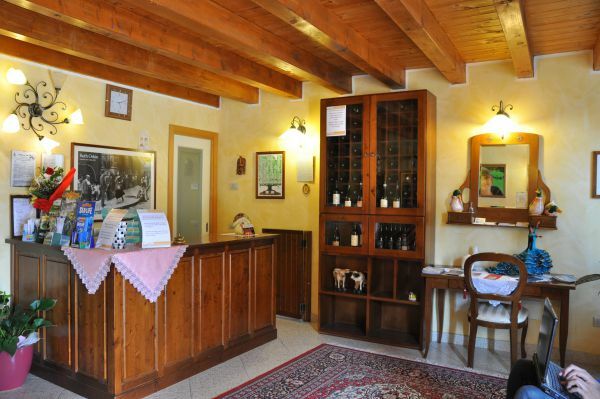 The B&B in the Antico Casale Bergamini is part of the Bergamini vineyard, which nowadays continues to produce the grape varieties typical of this area – Corvina, Rondinella and Molinara – that are used to make the wines Valpolicella Classico, Valpolicella Superiore, Recioto and Amarone. Prices from € 120,00 per room including breakfast. 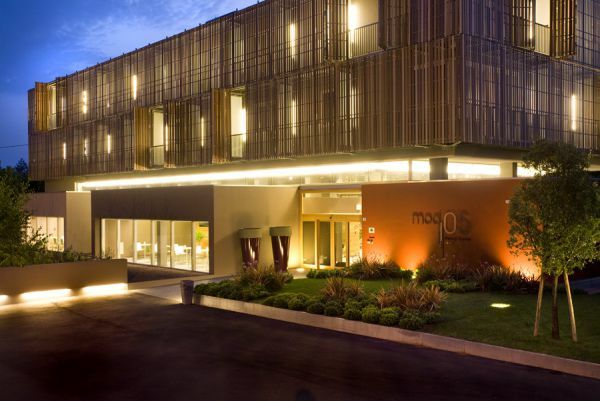 Near Lake Garda, surrounded by the hills, the Hotel Mod05 in Castelnuovo del Garda impresses with its avant-garde style. Simple and minimal lines combine with the choice of biocompatible materials and the almost complete energy autonomy, possible thanks to the solar panels. A hotel that lives with the guests. But this is not the only quality Hotel Mod05. 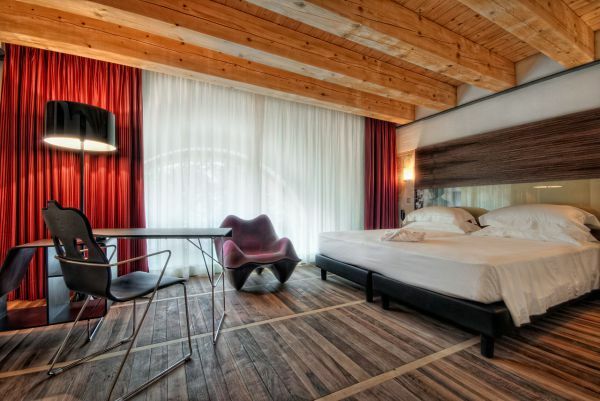 The rooms offer a living experience unparalleled: space, comfort, modern design and quality services. 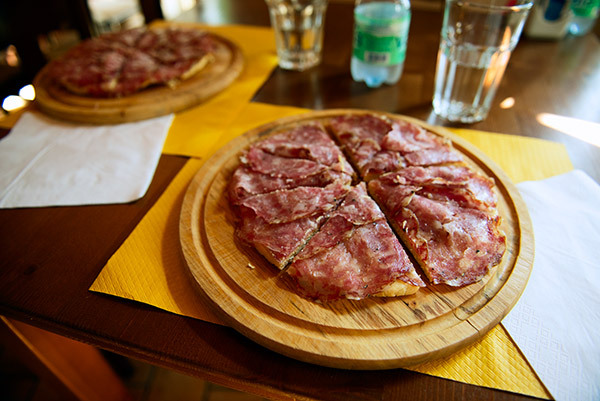 In addition, the strategic location in Castelnuovo del Garda puts this close to countries bordering on Lake Garda. 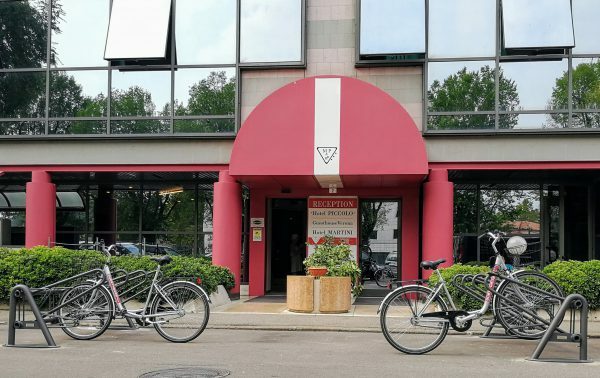 If you want to pass a weekend of fun, relaxation and wellness, and you also want to experience the land around us, maybe with a nice bike tour: Hotel Mod05 is the perfect solution. Price from 80 euro per night for double standard room. 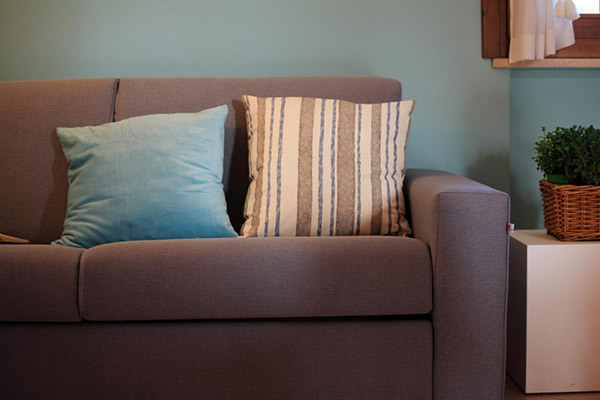 Price from 50 euro per night for double room for single use. 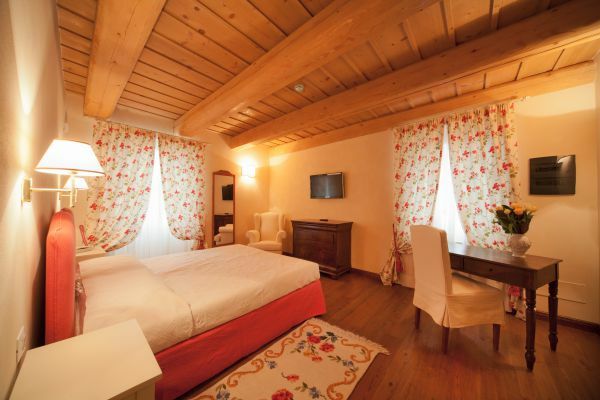 Each of the 92 rooms or suites at Le Ali del Frassino is individually decorated with local flora and fauna motifs or beautifully appointed with fine furnishings to offer our guests the opportunity of a pleasant break from the busy rhythms of their daily lives. Waves ripple peacefully to the lake shores that are a haven for numerous bird species: the perfect natural relaxation setting in which to enjoy a long walk in the nature reserve, treat yourself to a pamper session in the Le Ali del Frassino SPA or enjoy a plunge in one of the three open-air swimming pools with whirlpool feature and sensation grotto. 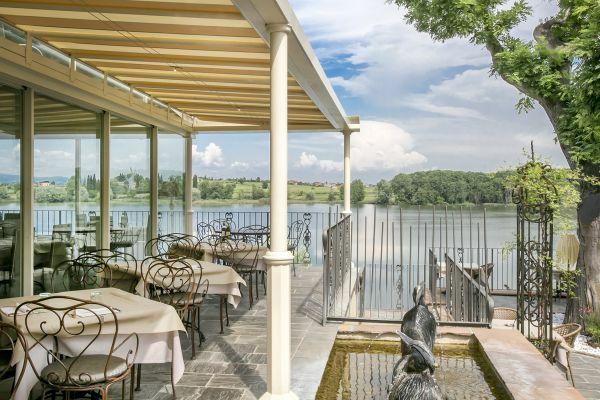 The perfect place for sports lovers and fans of nature, Le Ali del Frassino offers you the opportunity to keep fit on the fitness trail along the lake shores or explore the many bike routes. There is also a sports facility where you can practice a range of open-air sports activities. 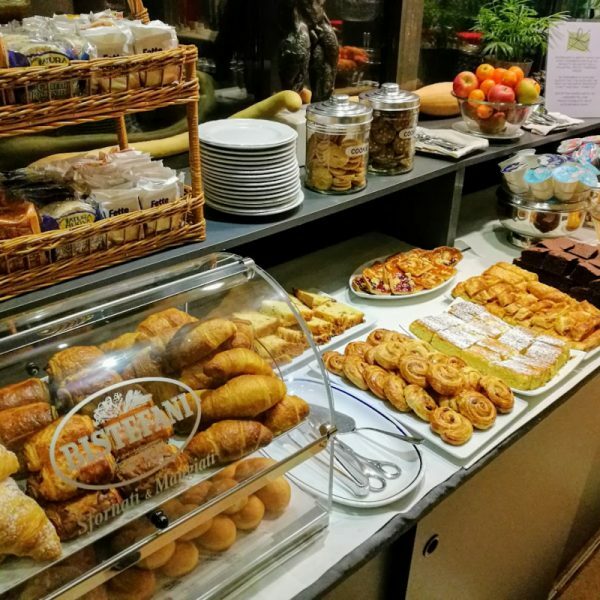 Le Ali del Frassino is just 1.5 km from the historic centre of Peschiera del Garda, a short walk from the nearest beach on Lake Garda and within easy reach of the main roads leading to the many local attractions.  Our staff will be glad to provide useful hints for trips according to the season and your personal preferences. There is also a daily shuttle bus service to the main local destinations. 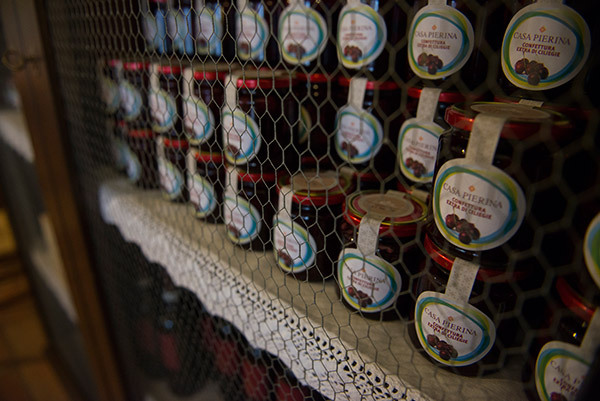 Born from the renovation of the owners of the Farmhouse dei Grippi, has wisely preserved the ancient structure with wooden beams, to give that flavor of antiquity simple and rustic to your holiday. 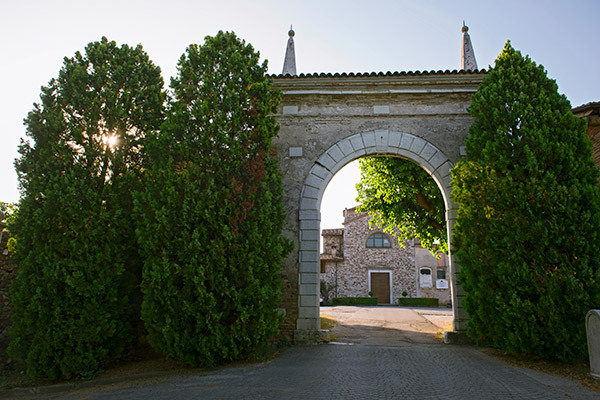 It equipped with 4 studios, 9 separate finely furnished elegantly furnished and 3 suites for romantics, where you can spend your holiday immersed in nature and in sugestsive cultivation of vineyards surrounding the farm itself. 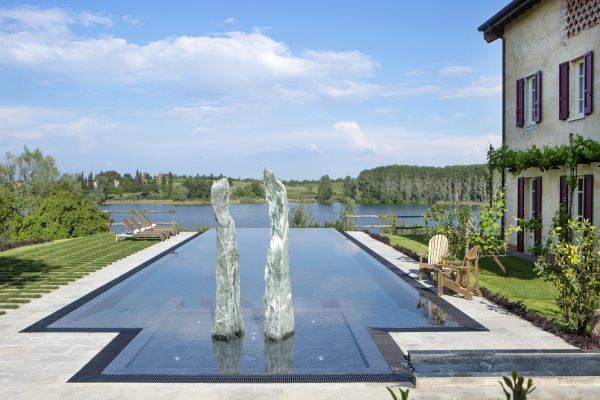 Guests have a large swimming pool where they relax, but also the possibility of natural history tour to discover and experience the Moraine Hills and its ancient villages. Prices from € 40 per person per night. 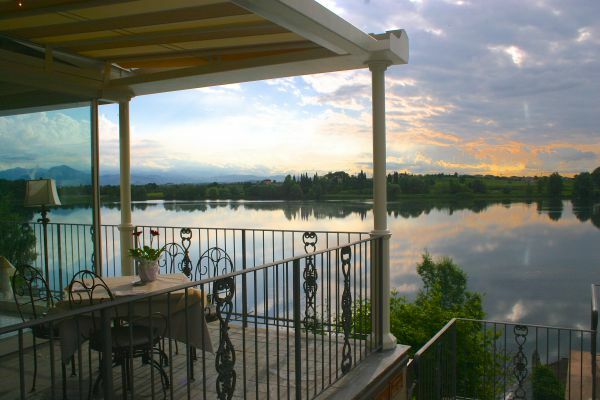 Enjoying a privileged location, overlooking the lake, near the historic center of Peschiera del Garda. The Hotel Acqualdolce has been thought to the hospitality. 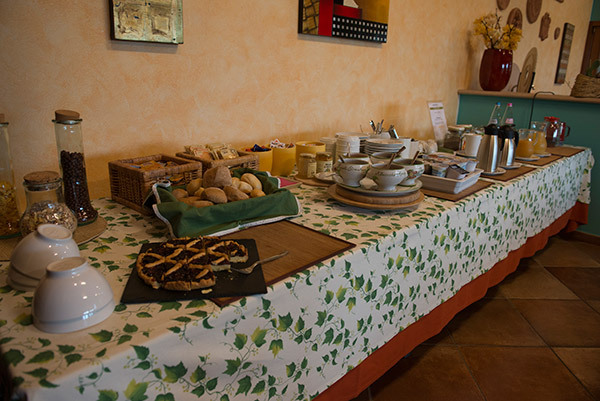 Prices from € 44 per person including breakfast. 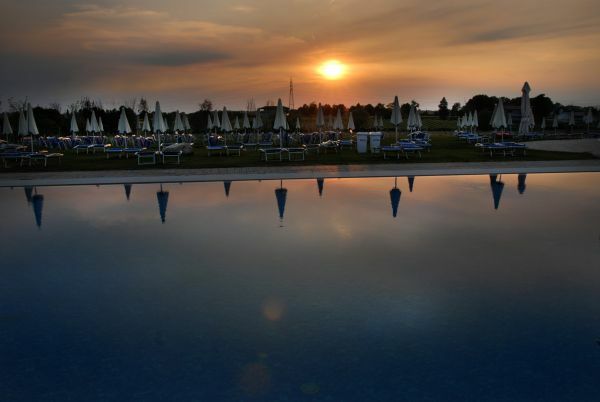 Bella Sirmione Holiday Apartments, is a lovely family run business. 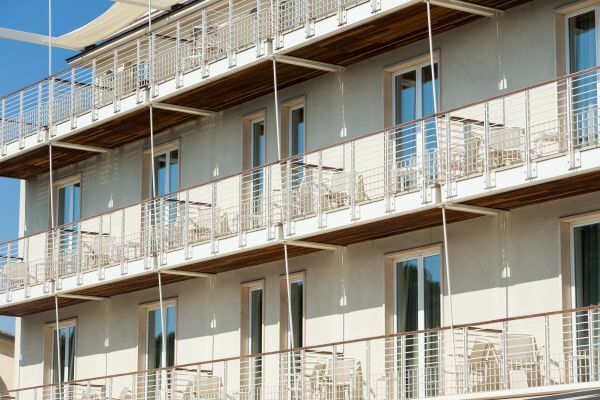 It offers fully furnished apartments set in a quiet garden with olive trees, roses and hydrangeas. 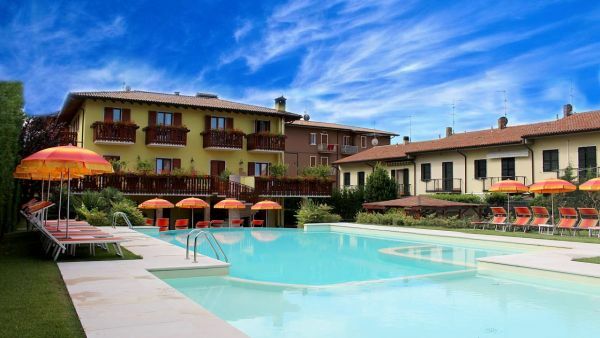 These cheerful apartments are located in Colombare of Sirmione, in a panoramic position on the port of Sirmione 2, just 200 meters from the shores of Lake Garda, 300 meters from the town center and 3 km from the historic center of Sirmione. The residence offers quiet and relaxing atmosphere: the ideal setting for relaxation, a perfect place for families with small children and for those seeking a quiet and restful holiday in close contact with nature amid charming landscape, or for those who like to stay in apartments fully equipped and discovering the Italian lifestyle. Popular activities in the immediate vicinity are many, from simple walks, to sports and leisure. 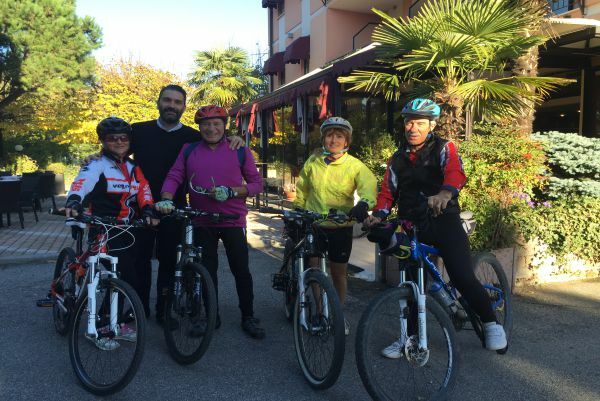 We at Bella Sirmione, in order to live the Garda Lake Garda in an exciting, we recommend to practice cycling and the sport of sailing. For this we rely on experienced instructors in the industry that will lead you to discover the beauty of our land and of our lake. Bella Sirmione Welcomes you to a healthy, nice and joyful stay in this magical strip of land a few steps from Lake Garda. 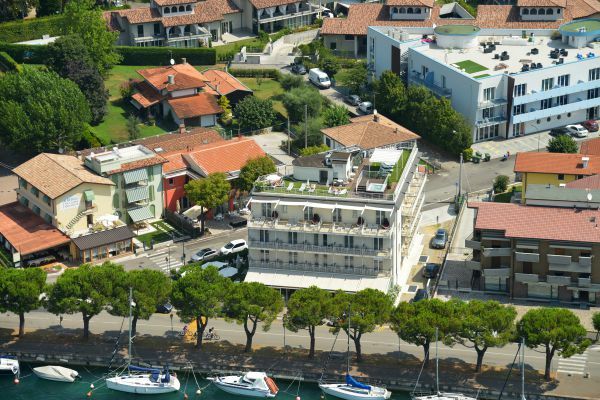 Bella Sirmione, the best apartments for the finest holiday on Lake Garda in Sirmione. Prices from 80,00 € for apartment for night. 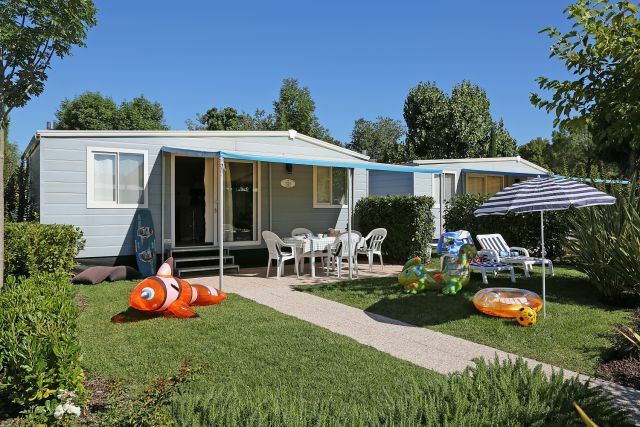 San Francesco Camping Village is a not to be missed location for passing a relaxing and entertaining vacation in the nature of Lake Garda. 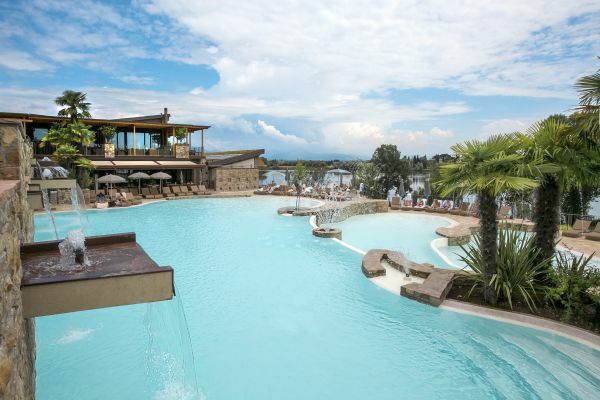 In a privileged position, at the opening of the Sirmione peninsula and not far from Desenzano, it is easily reached from the cities of Verona, Brescia, Bergamo, Milano. 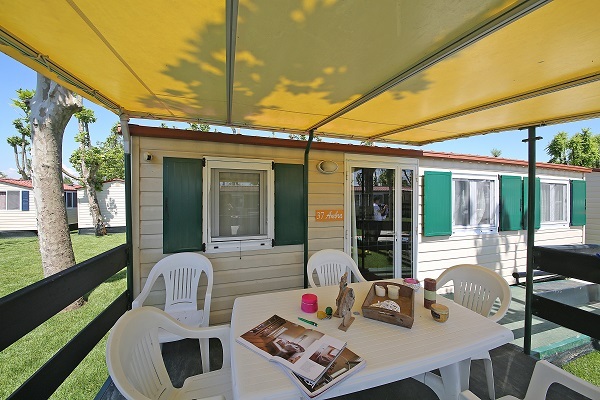 San Francesco Camping Village offers different pitches in sizes for tents, caravans or motor homes and mobile homes and also typologies designed to be particularly comfortable and satisfy the needs of disabled people. Swimming pool with the new spray park, the restaurant, supermarket, two bars, bicycle rental, excursions, boat rental and animation for children and adults complete the offer. Price from € 18,50 on the pitch and € 60,00 in the mobile home. A few steps from the historic center of Verona, to immerse yourself in the atmosphere of the city of lovers Romeo and Juliet. 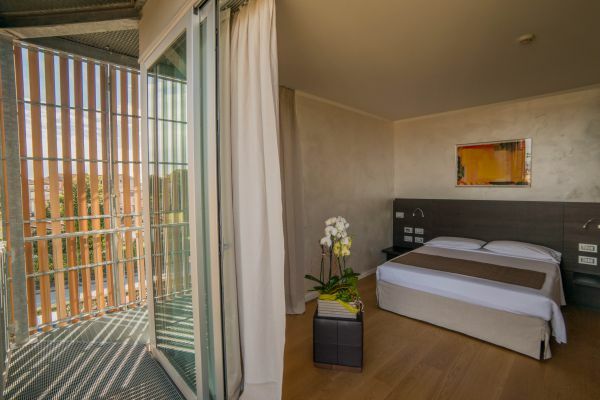 Located 5 minutes’ walk from Verona Porta Nuova Station, Hotel Martini offers rooms, modern in style. 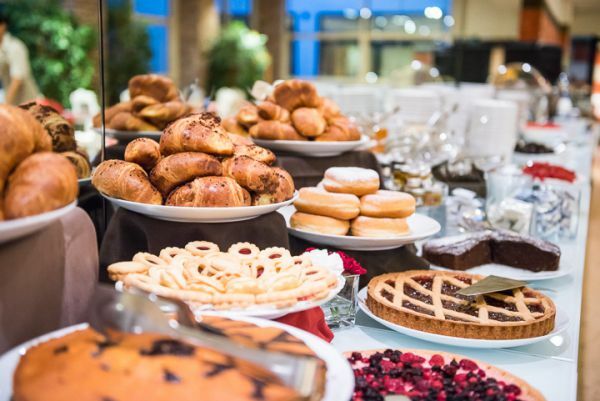 Breakfast is buffet style and includes unlimited hot drinks and homemade cakes. Verona Arena is reachable on foot in 20 minutes. Air-conditioned rooms at the Martini are equipped with a minibar, LCD TV and free WiFi access throughout. 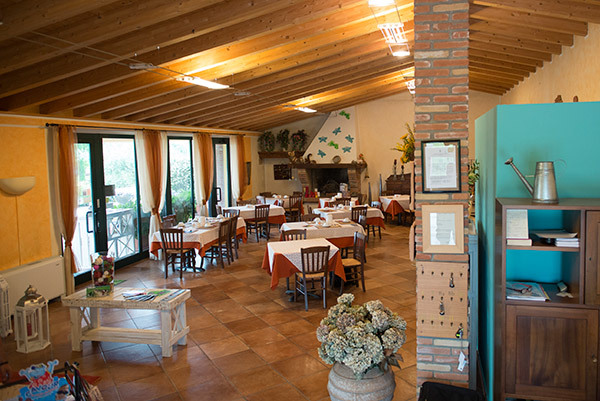 Guests can enjoy free gym and traditional cuisine at the nearby Trattoria ai Bastioni restaurant. 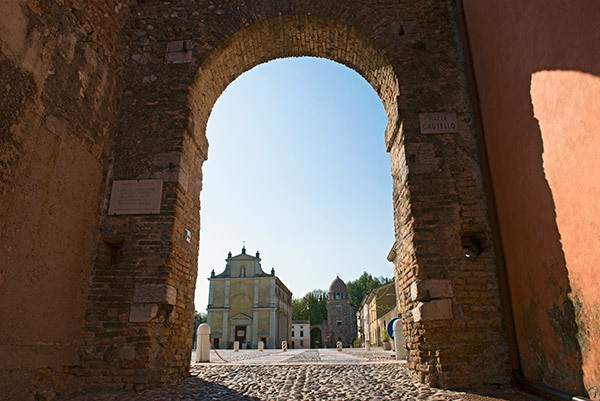 A free shuttle service to Castelvecchio castle is available on request to the restaurant’s guests. 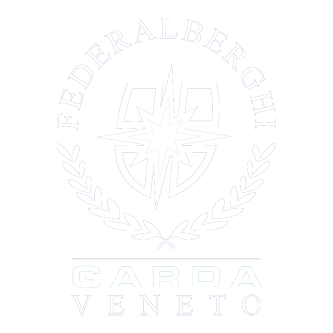 Verona Airport, 11 km away, is easily reached by the Aerobus service that stops at Porta Nuova Station. There is an underground garage available at extra charge. Prices from € 75 for room for night. 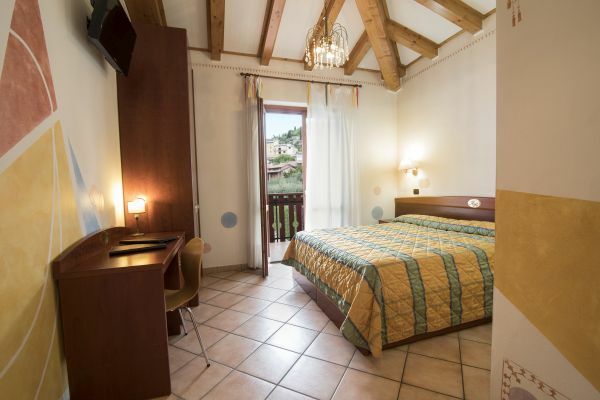 located in Cavaion Veronese, a town nestled among the olive trees and vineyards of the Bardolino area, at a stone’s throw from Lake Garda.The accommodation facility, with its 42 bright and cosy rooms with private indoor parking, overlooks a large garden with swimming pool. Choose Hotel Romantic if you want to spend a holiday full of nature and relaxation, great food, sports and entertainment! Price from 59 euro par person par night. 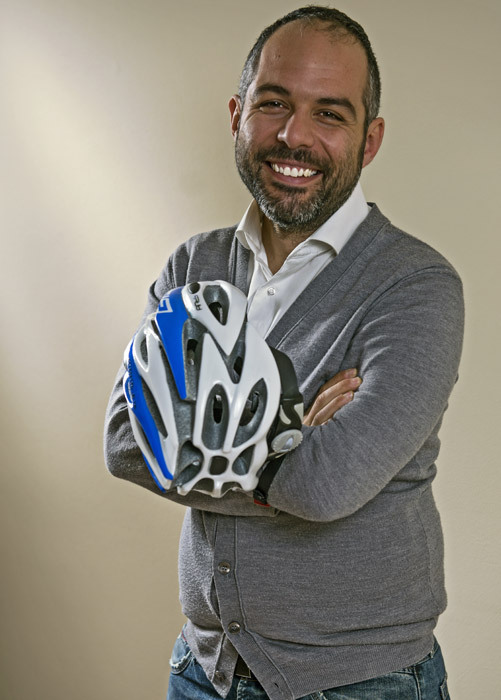 For active participation in the new association Cyclone ASD – Promoters of cycling mobility constituted by various professionals in order to raise awareness and disseminate more and more activities related to cycling, with particular focus towards cycle-turism.